Vattenfall is kicking-off a formal sales process to dispose of its lignite and pump storage hydro assets in Germany. This mix of lignite and hydro provides an interesting case study in the evolving margin dynamics of flexible German power assets. Vattenfall is kicking-off a formal sales process to dispose of its lignite and pump storage hydro assets in Germany. The sale will result in a significant change in asset ownership in Europe’s largest power market. The larger Czech and Polish coal generators (e.g. CEZ, EPH and PGE) have the most obvious interest. But there should also be interest from within Germany as well as from new entrants further afield (e.g. strategic Asian investors and funds). The share prices of E.ON and RWE illustrate the challenges of owning generation assets in Germany. Power plant values reflect current depressed levels of German generation margins. These have been battered by a three pronged onslaught of falling coal prices, rising renewable output and weak demand. But generation investment is cyclical in nature. For prospective buyers, Vattenfall’s assets represent a means to gain a large but relatively cheap foothold in the German market. And unlike Centrica, which pulled its recent UK CCGT sale, Vattenfall has a clear mandate to sell these assets regardless of price expectations. The sale of Vattenfalls’ German lignite assets (summarised in Chart 1 below) has been a story that is at least two years in the making. The sale has been delayed by a lack of clarity around a new German climate levy which has threatened the early closure of some lignite assets. As a deal sweetener Vattenfall has also lumped in more than 2.5 GW of predominantly pump storage hydro assets. This mix of lignite and hydro provides an interesting case study in the evolving margin dynamics of flexible German power assets. The value drivers for lignite & pump storage generation are very different. Yet both asset types share a common exposure to the impacts of renewable penetration which are acting to transform the German power market. We have previously written about German power market pricing dynamics. But in summary, the formation of marginal power prices is predominantly driven by hard coal plants. With coal on the margin, the fortunes of power prices have been closely linked to steadily declining global coal prices as shown in Chart 2. The power price decline in Germany has been exacerbated by two consecutive years of mild weather and associated weak demand. Demand fell 3.8 percent in 2014 despite the fact the German economy grew 1.4 percent. But these conditions have exposed some natural support for power prices around the 30 €/MWh level, as the variable cost of lignite assets acts to support prices in periods of weak net system demand. The impact of the first of these factors is a key concern for lignite assets. Whereas the value of pump storage assets depends heavily on the second. Chart 3 illustrates some of the effects in play via a plant type breakdown of German generation stack output. The chart illustrates the scale of the impact of swings in output of wind (light green) and solar (yellow). Hard coal can be seen setting marginal prices during weekdays (with CCGTs completely out of merit). The last two days shown in the chart illustrate a weekend period with weak net system demand (low demand + high wind). In these situations hard coal is pushed out of merit with lignite plants providing marginal price setting flexibility. The within-day peak shaving role that pump storage plays can be seen via the light blue output range. An alternative view of the German supply stack ordered by plant type & variable cost is shown in Chart 4. This chart illustrates the ranges of generation capacity that set marginal power prices under different conditions in the German market. The majority of time periods sit within the black tranche of hard coal. But in periods of high renewable output and weak demand (as shown in Chart 3), less efficient lignite plants can set marginal prices. In periods of low wind & solar output and high demand, CCGTs come on to the margin, driving up system prices and lignite plant returns. The primary exposure of lignite plants is to the absolute level of the power and carbon prices. But through power prices, lignite assets also have an important secondary exposure to European coal prices (given coal plants dominate marginal price setting). Fuel costs on the other hand are much more within the owners control given adjacent lignite mines. It is useful to contrast the margin dynamics of lignite vs hard coal assets. 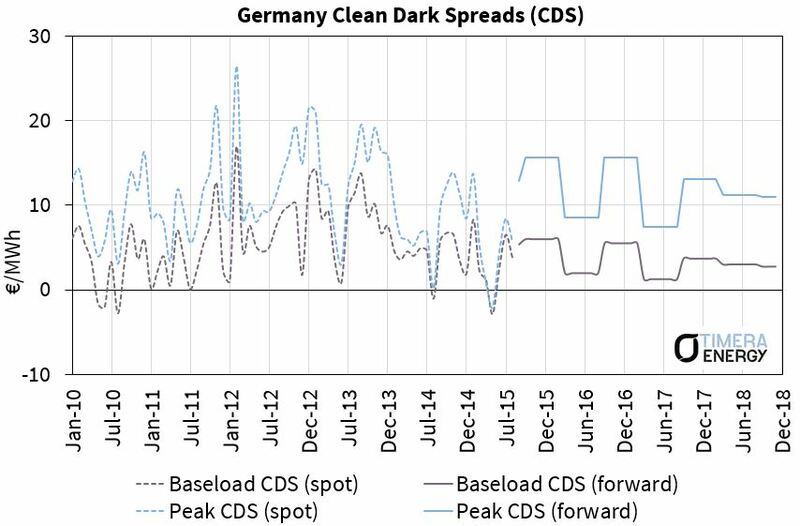 Chart 5 illustrates the evolution of German hard coal plant margins (CDS). Despite the substantial 2010-15 fall in power prices shown in Chart 2, hard coal plant margins have been fairly resilient as result of coal plants role in setting power prices. In other words falling power prices reflect falling coal prices, de-risking hard coal generation margins. Lignite plants do not benefit from this fuel vs power price correlation benefit. But they do have the significant benefit of being the lowest variable cost producers in the German power market. And that ultimately acts to protect plant load factors and cashflows. Pump storage assets are a different prospect. Value is driven by the flexibility to respond to price shape (intrinsic value) & short term price volatility (extrinsic value). In addition there are significant revenue streams from provision of transmission/ancillary services. These value drivers are summarised in Chart 6. Renewable penetration is dampening price shape which negatively impacts the value of storage. But intermittency is driving volatility and price spikes (both up and down) into prompt prices. This increase in prompt volatility is an important structural trend that is a consequence of increasing intermittent generation. These factors mean energy margin is transitioning from the intrinsic to the extrinsic value buckets shown in Chart 6. Quantifying and capturing this value comes down to understanding the practical constraints around optimising & hedging pump storage cycling optionality. Battery storage represents a long term threat to pump storage margins. But cost and regulatory issues are likely to mean battery storage penetration is gradual at best. It could be a long time before battery storage rollout (currently measured in MW not GW) approaches anything near the scale of Vattenfall’s pump storage assets. Emissions policy: A proposed climate levy that could have caused the closure of a number of older lignite plants was officially scrapped in July 2015. But the German Energy Minister is sticking by a target for 40% GHG reduction by 2020. Lignite plant are a key source of these emissions, so uncertainty remains as to how policy measures to deliver this target may impact plant lives going forward. Capacity payments: A refinement of the German power market design is currently underway (Electricity Market 2.0). Particularly important are the mechanism(s) that will be adopted for remunerating flexible capacity as renewable penetration increases. Latest indications favour a more minimalist approach focused around energy market price signals. But a capacity reserve has been announced for 2.7GW of Germany’s oldest lignite plants which will be paid to provide back up and then closed by 2020. Renewable support: Despite plummeting wholesale prices, Germany has the second highest power bills in the EU (after Denmark). While there is still broad popular support for the Energiewende, it remains to be seen to what extent consumers may start to push back on the rising costs of continued renewable expansion. These factors appear to represent a formidable landscape of policy threats for German generators. But the government’s recent climate levy back down was an important signal. The large German utilities are facing very serious balance sheet issues. These are being exacerbated by liabilities associated with the nuclear generation fleet that is planned to be phased out by 2023. There is likely to be some important regulatory downside protection from the fact that it is in no one’s interest for the German government to cripple the incumbent utilities. The value of German lignite assets comes down to the evolution of power prices and therefor hard coal prices and dark spreads. The current depressed price and spread environment is forcing generators to close an overhang of gas and older coal fired plants. There are GWs of capacity in the German market that are unable to cover costs at current market prices. While a coal price recovery may not be imminent, long term downside is likely to be limited by the fact that global prices are at or below the long run marginal cost of new mines. Lignite asset downside is also supported by their position as the lowest cost thermal producers in the generation stack. Building an investment case turns on getting comfortable with asset margin downside while recognising the value of asymmetric upside from recovering prices and spreads. Pump storage assets are much less exposed to the absolute level of power prices. Instead it is decreasing price shape and increasing prompt price volatility that are the key value drivers. The renewable penetration that is eroding thermal asset margins, is supporting an increase in short term price fluctuations and within-day price spikes. Pump storage asset value comes down to the practical capture of extrinsic margin associated with this prompt volatility. The Vattenfall assets provide a means to build a sizeable position in the German market (or enter the market in scale). But the foundation of an investment case will be built around buying a portfolio of low variable cost flexible assets in a depressed price environment. History tells the story of the cyclical nature of power asset investment. It also provides evidence of healthy returns from investing in low cost quality assets during the trough of the cycle. Article written by David Stokes, Olly Spinks & Emilio Viudez Ruido.